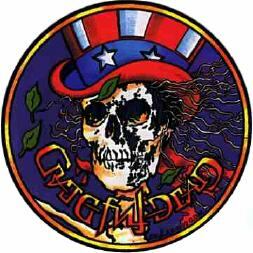 Welcome to my Grateful Dead Shrine. Here, you'll find all kinds of links to all kinds of pages. There's pages with T-shirts, animated GD icons, screen savers, mouse pads, lyrics, chords/tabs, jokes....Tons of Fun! Lots of links to tons of stuff! 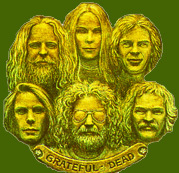 Old Hippie's Grateful Dead Related Page for Netheads, Webheads and Deadheads. Lots of real cool links. Back to my MAIN page. This page is no longer being updated except for the occaisional removal of links that are down.